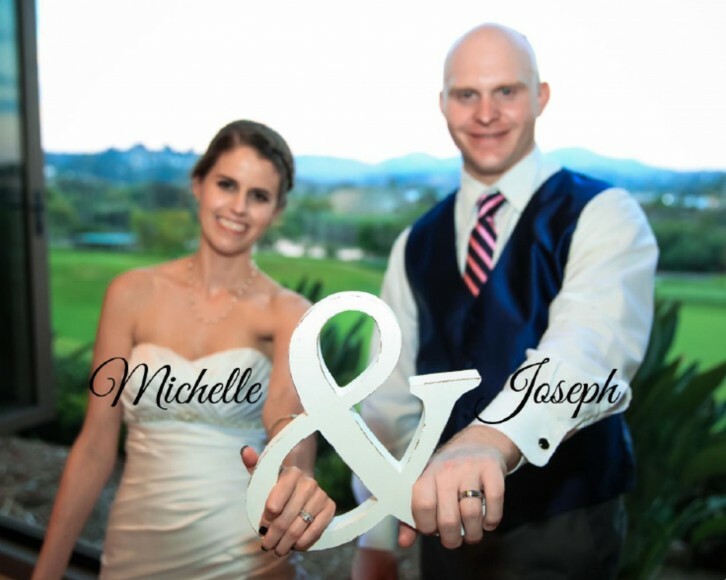 Here it is, the layout for Michelle and Joseph’s wedding album design. 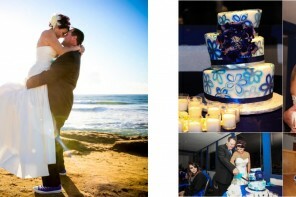 The wedding album is a key part of my San Diego wedding photographers packages. The album was designed around 62 favorite photos that the couple selected of their wedding, which I started photographing for the couple at Michelle’s parents’ home, and then at the wedding ceremony and reception at Admiral Baker Clubhouse in the Mission Gorge area of San Diego, California. 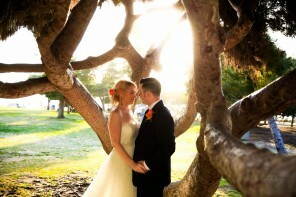 The album is one of the many nice elements included in a complete wedding photography package. Michelle and Joseph’s wedding album design will have final production in Italy by the premier wedding book company, Graphistudio. The couple’s wedding album will feature the Crystal Glance cover, which features a thick clear acrylic cover that I’ve complimented with a leather spine and back. The couple selected the 8×12″ size book, so it will make beautiful album of favorite photos and coffee table book. 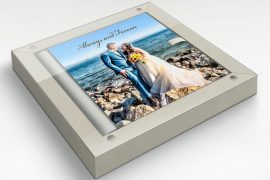 Italian-made wedding album design, which is standard in many of my San Diego wedding photography packages, will be of exceedingly high quality, with thick durable pages having a photography finish. You can read more about this and the others style of albums on my wedding albums page. And if you wish to see their artistic craftsmanship in person, please contact me. 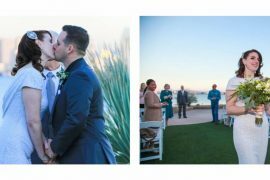 An important element in Michelle and Joseph’s wedding album design, and like all of the books I create as San Diego Wedding Photographers, is to present the photos in an interesting layout while also telling the story of the couple’s wedding day. I sometimes also use elements from the choice of colors, wedding details, the venue, and some subtle design elements to give the wedding album a style that will be uniquely theirs. For Michelle and Joseph, I selected a classic warm background tone, which is also part of my Director wedding album design. To top off their ability to enjoy their photos every day through this album, the couple will also be receiving a complimentary large format calendar of even more of their photos, and the layout for that calendar is also shown in this post. For more information about weddings and albums be sure to visit my services page, or contact me for even more information.